Marvel's greatest heroes sacrificed themselves to save the world from the deadliest threat they had ever faced: Onslaught! 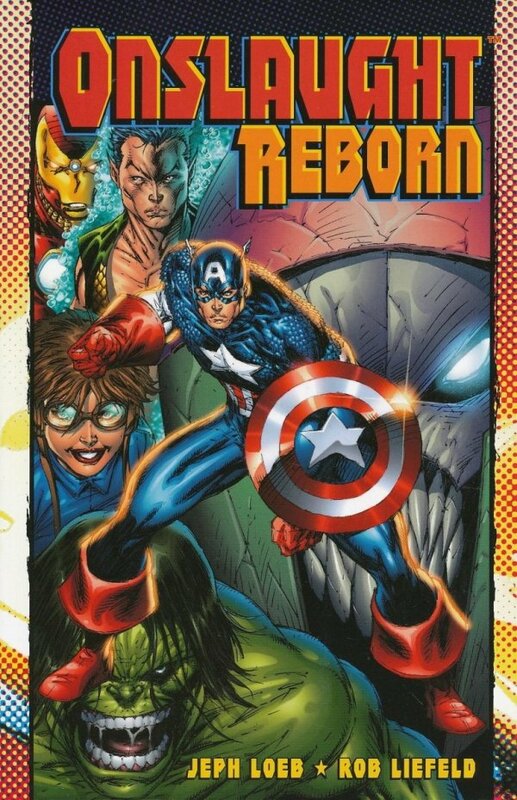 The lives of the Fantastic Four and the Avengers were saved only when Franklin Richards created a parallel universe, where we found those heroes, reborn! But this world has long since merged back into our own, and the evil Onslaught - forged from the most vile parts of Magneto's and Professor X's psyches - has been presumed long dead. But now, he, himself, is reborn - and he's bringing fragments of the other universe with him! 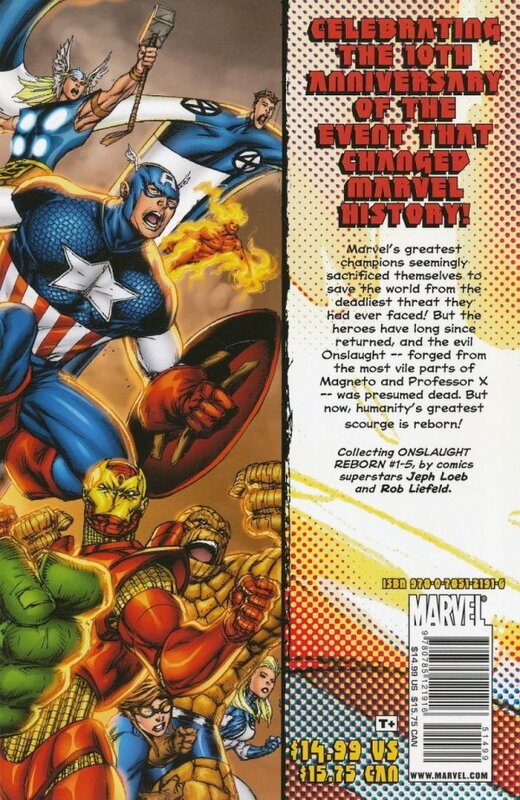 Join comics superstars Jeph Loeb and Rob Liefeld in this no-holds-barred, all-out action extravaganza - celebrating the 10th anniversary of the event that changed Marvel history - as Onslaught, the Marvel Universe and the Heroes Reborn Universe collide in this massive crossover!